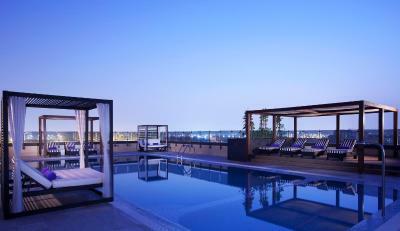 Lock in a great price for Pullman Dubai Creek City Centre – rated 8.6 by recent guests! Everything was great even they do me a favor give me late checkout. I loved everything from the welcome drink( lemonda n mint, to the friendly disposition of all the staffs from Bell boys to cleaners. Everything. The breakfast was excellent with variety of food and snacks. 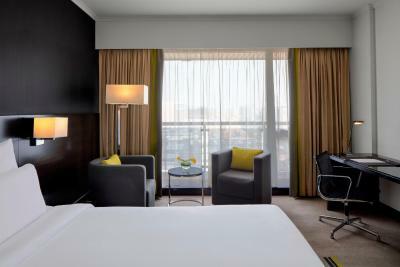 The hotel's location is as also easy accessible to Deira Mall and taxi drivers. 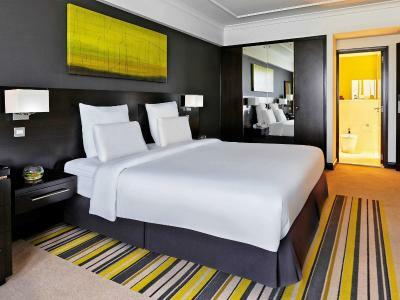 Overall opinion with regard to the hotel is excellent and calm. Location was very good. All staff were welcoming, friendly, gentle and polite. An advantage also, the hotel is connected to City Centre Mall. All my transport bookings were done on time. I also would like to thank Mr, Ali from Reservations Section for his support and cooperation with me during my booking through booking.com. They were very helpful, they treat you right absolutely an above and beyond experience. 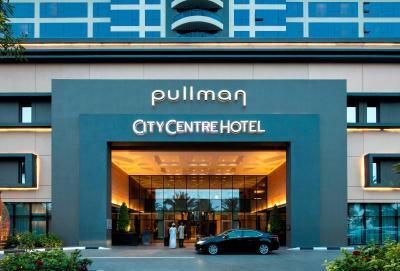 Pullman Dubai Creek City Centre This rating is a reflection of how the property compares to the industry standard when it comes to price, facilities and services available. It's based on a self-evaluation by the property. Use this rating to help choose your stay! 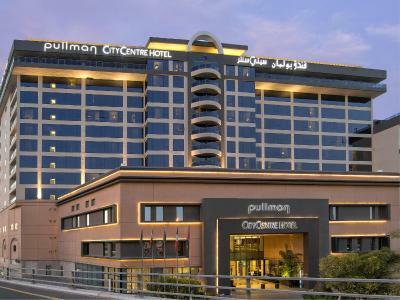 One of our top picks in Dubai.Located next to the Deira City Center Mall & Metro Station, Pullman Dubai Creek City Center offers guests a splendid selection of restaurants. 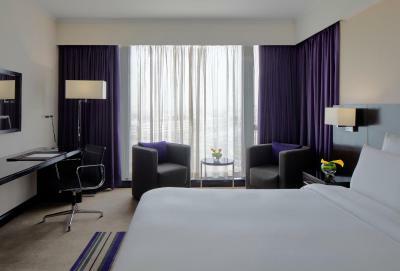 The rooms of the Pullman Dubai Creek City Center are modern in style and equipped with a work desk and satellite TV. 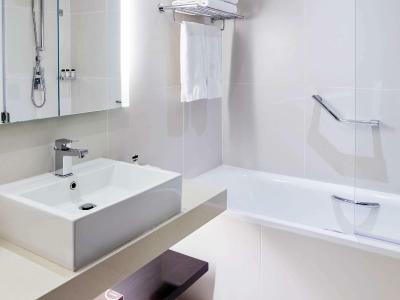 Each has bath amenities, rain-shower experience. 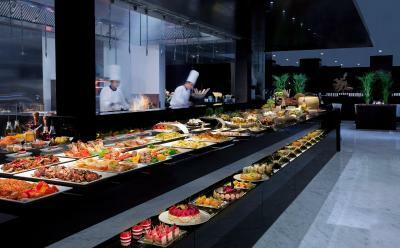 Medley offers live cooking stations featuring international cuisine. 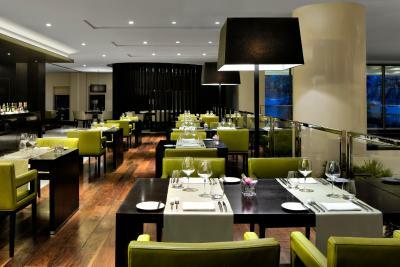 At La Fabrique, guests can relax at the sports bar while enjoying live sports. The fitness center offer possibilities for a work-out. 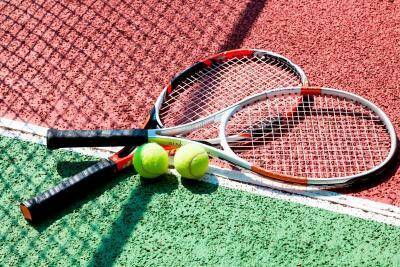 Other facilities include a sauna, a babysitting service and 24-hour room service. 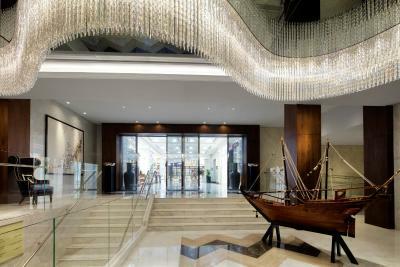 The Pullman Dubai Creek City Center is located a 10-minute drive from Dubai International Airport. 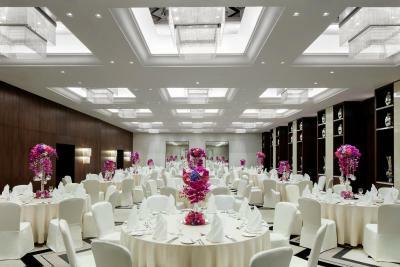 The hotel has a direct link to the next-door City Center Deira Mall, one of the largest malls in the region. 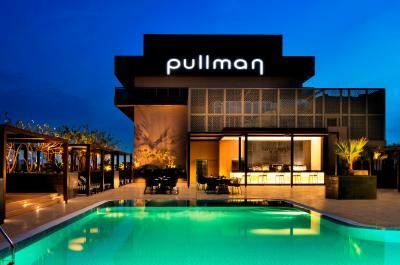 When would you like to stay at Pullman Dubai Creek City Centre? 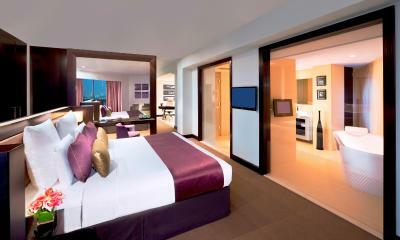 95 ft² room with king size bed. 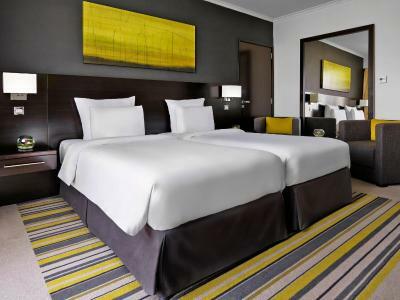 Equipped with working space, mini-bar, safe, 32" LCD satellite TV, bathrobe & hairdryer, complimentary WiFi, bottled water, tea/coffee facilities and 24hrs room service. 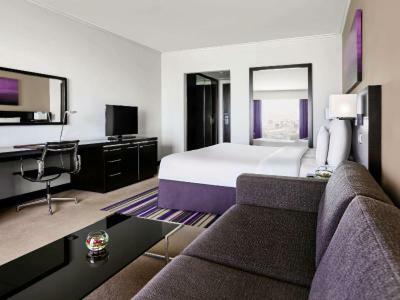 95 ft² room with king size bed, working space, complimentary WiFi, Nespresso machine, 40" LCD TV, 24hrs room service, full access to Executive lounge: complimentary breakfast, soft drinks, canapés & alcoholic beverages. 95 ft² room with twin beds. 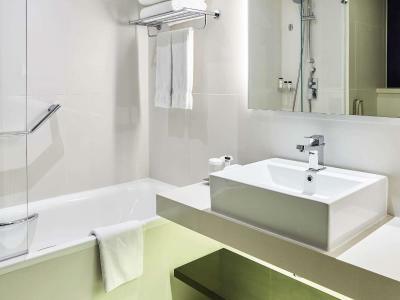 Equipped with working space, mini-bar, safe, 32" LCD satellite TV, bathrobe & hairdryer, complimentary WiFi, bottled water, tea/coffee facilities and 24hrs room service. 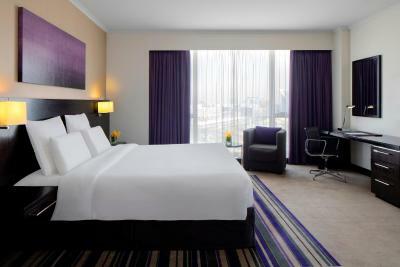 161 ft² Suite with king size bed & sofa, for up to 3 adults. 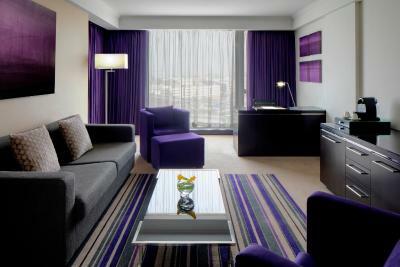 Complimentary WiFi, Nespresso machine, private check-in and full access to Exec. 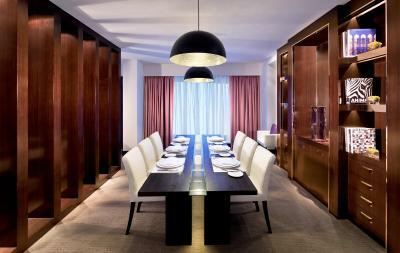 Lounge: Complimentary breakfast, soft drinks, canapés & alcoholic beverages. 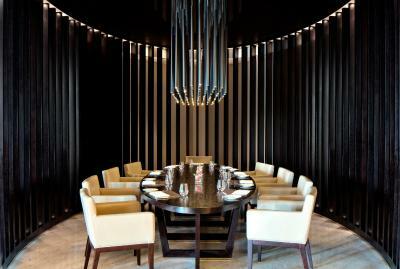 House Rules Pullman Dubai Creek City Centre takes special requests – add in the next step! 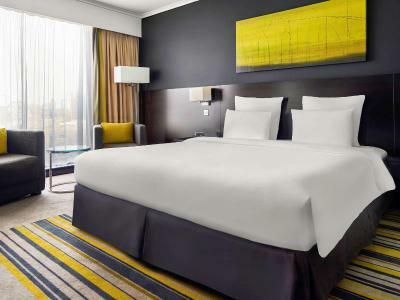 All older children or adults are charged AED 180 per person per night for extra beds. 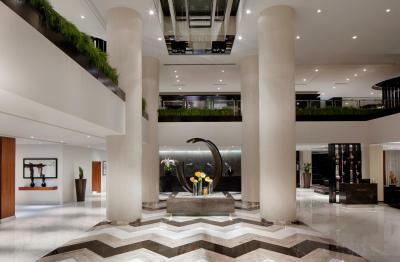 Pullman Dubai Creek City Centre accepts these cards and reserves the right to temporarily hold an amount prior to arrival. 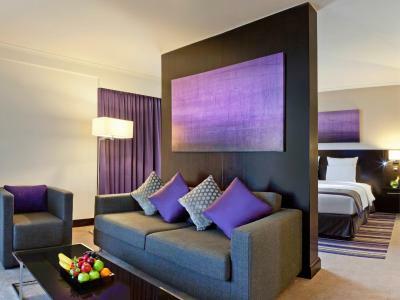 A security deposit of AED 200 - 1000 per night is required upon arrival for incidental or damage charges. This deposit is fully refundable upon check-out after deduction for inspections and/or inspecting the accommodations for damages. 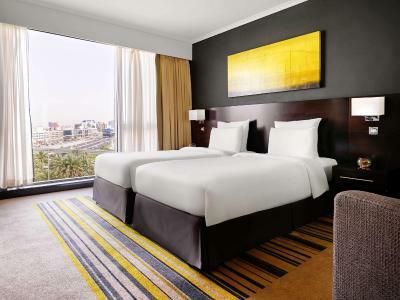 Please note that for all prepaid bookings, the original credit card that was used and charged should be presented upon check-in, otherwise the hotel reserves the right to reject accommodations. 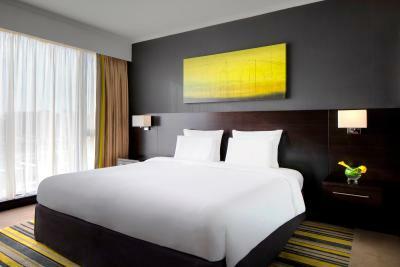 In the case of early departure after check-in, any unused nights will be charged at the original rate booked. Being in a clean and comfortable room is enough as I’m on business. 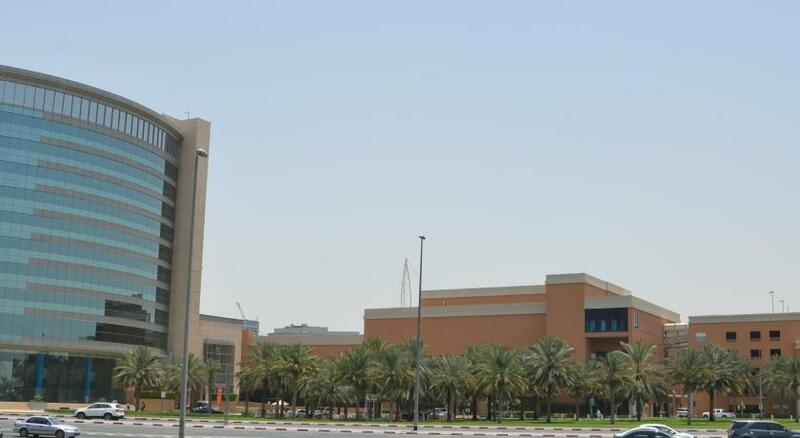 HAVE STAYED ONLY FOR A NIGHT AND TOOK SECURITY DEPOSIT OF AED 600. AT FIRST IT WAS FINE, AS I WAS ADVISED BY THE FRONT DESK THAT IT IS ONLY A PRE AUTHORIZATION AND WITHIN 2 DAYS, IT WILL AUTOMATICALLY UNBLOCKED. TODAY IS THE 4TH DAY SINCE WE CHECKED OUT, AND HAVE PHONED THE HOTEL YESTERDAY, WHY THE AMOUNT WAS NOT YET CREDITED TO MY CREDIT CARD, AS I WAS DEBITED TWICE. THE FRONT DESK WAS QUITE RUDE AND CANNOT BE ABLE TO HELP AT ALL, AND EVEN DROP THE PHONE WHILE AM STILL WAITING FOR HIS ANSWER! 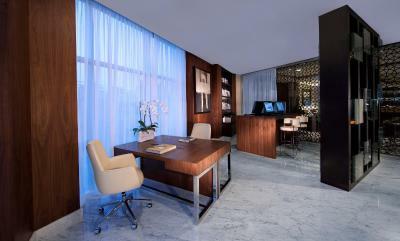 SUGGESTS, YOUR FRONT DESK TO BE MORE POLITELY, MORE APPROACHABLE. ANYWAY WASNT ABLE TO GET THE NAME OF THIS GUY. Need slightly thicker pillows and more TV channels. 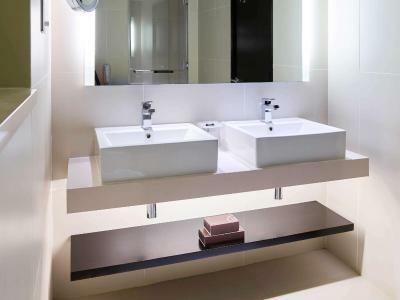 The room was specious and clean. Special thanks to the cleaning staff namely Junaid who will literally bend backwards to accommodate your needs. Just that the location wasn't as close to the main attractions but it was manageable and I believe this is somewhat reflected in the room rates. We stayed here on a room only basis and had limited use of the hotel. 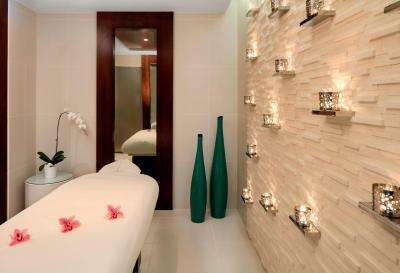 However, the staff were very helpful and accommodating. The location was a little away from the main spots such as the Burj Khalifa but nothing too excessive and the taxis are quite reasonable. The adjoining mall was very useful and had a large supermarket and a food court.